Trying to produce a series of prequels from an already established franchise is like farming in a lush grassy field plagued with mines. Few filmmakers have tilled this soil unscathed (See Star Wars prequels and The Hobbit prequels). While you have to establish a set of new characters to identify this as a totally new series, you also have to throw the audience a few bones to tie it back to the familiar franchise. Most of all, you have to prove authenticity. Prove to the audience this isn’t a sneaky cash grab with little thought put into it. For Fantastic Beasts and Where to Find Them, that’s a heavy order with a long Harry Potter shadow to escape and embrace at the same time. It’s fortunate David Yates is back in the director’s chair, and even more so that J.K. Rowling wrote the screenplay. While they weren’t able to avoid all the mines in front of them, they successfully tilled a new plot of land for the next four movies while also making this singular movie feel whole and complete all on its own. 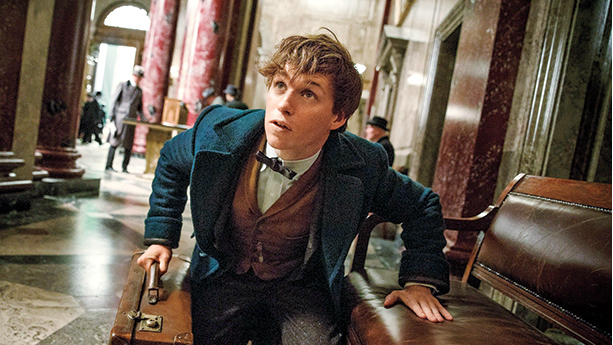 Fantastic Beasts is set seventy years before Harry Potter visits Hogwarts, and follows Newt Scamander (Eddie Redmayne) as he arrives in New York City for a brief stop, but is sidetracked as one of his creatures escapes and gets him into trouble with the witches and wizard community for accidentally exposing himself to the public. After going through several directors in the Harry Potter series, Yates has become the standard bearer and steady hand for the wizarding world, starting with Harry Potter and the Order of the Phoenix. It makes sense. In many ways, Yates brought Harry Potter out of the children’s movies it is known for and into a genre that could be enjoyed by people of all ages. 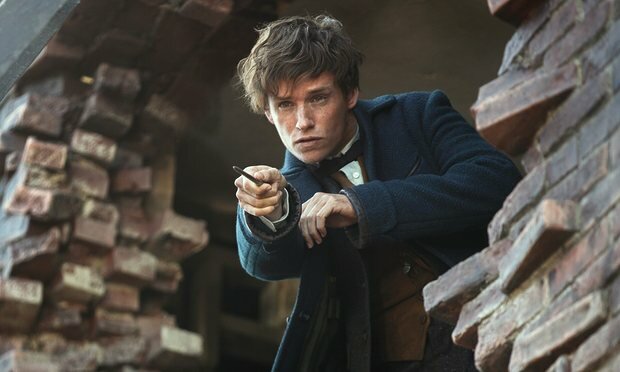 With Fantastic Beasts it feels like he is more at home with adult characters and themes while also delivering the childlike fantasy audience have grown to love with Harry Potter. It’s a tough tightrope to walk, but Yates pulls it off, delivering light-hearted moments with a heavy dose of a darker edge you might expect from Harry Potter and the Deathly Hallows. With that said, parents should not expect Fantastic Beasts to be a complete return to the light-hearted children’s stories of the first few movies. Some of the scenes are quite eerie and there’s a scene in the third act that feels ripped straight out of a horror movie. Overall, Yates injects his familiar, solid direction for new franchise that needs it to get things off on the right track. The last few Harry Potter movies provided spectacular special effects, and you can expect the same with Fantastic Beasts. While a good portion of the time the beasts look lifelike with meticulous detail, one specific scene is both beautiful and cartoonish, making it harder to believe or care for the many beasts Scamander has in his possession despite his deep passion for them. You want to care, but it’s difficult when you know it’s a computer generated image. Otherwise, the action sequences causing mass disruption, the teleporting, and spells are all quite what one would expect from a Harry Potter movie – magical. It is of little doubt that J.K. Rowling is a great writer, but I must admit that I felt skeptical she could pull off switching over to writing a screenplay rather than a novel. Many novelists have tried and failed when writing screenplays (See Cormac McCarthy’s The Counselor). To my surprise, the writing is the best thing about the movie. 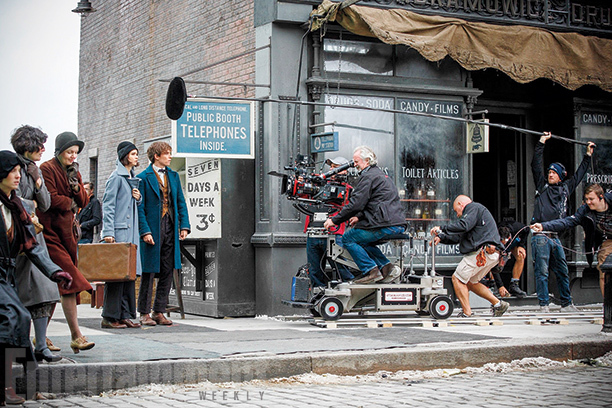 While the plot takes time to develop, following Newt Scamander around New York with little knowledge of what he is doing or where he is headed, it really starts to pay off as things unfold in the second act and before long you’re fully invested in the characters and the story. The pacing really picks up by the second act and continues to build then on, but the plot sometimes isn’t compelling enough to keep interest and at times is riddled in holes and loose threads that obviously are cut for time. Rowling especially knows how to bring out scenes with good character moments, making each character empathetic, and she especially likes to tease character backstories by saying just enough to get you intrigued. The dialogue is witty, charming, and funny, and many of the characters are unique and interesting. It is especially refreshing to follow Scamander, a man with little to stay but still says a lot in his mannerisms and quiet personality. The biggest problem with the writing is the villain. Graves’s (Colin Farrell) motivation and personality are unclear and one dimensional, and he’s not intimidating enough to incite fear in the audience. You’re given small clues to what he is after, and even when that becomes evident it’s difficult to pinpoint what he wants to do when he finds it. As a byproduct, the overall stakes don’t have much weight. Eddie Redmayne’s breakout leading role in The Theory of Everything put him on the list of actors to watch, and it’s evident he continues to put his best foot forward with every future role he takes. Scamander’s character is a difficult protagonist to pull off because as noted before his personality leans toward a quiet, introverted type. In fact, he doesn’t say much at all in the first act. However, Redmayne brings a curious charm, innocence, and likability to his character, and I think Harry Potter fans will grow to love him. Ezra Miller and Dan Fogler also put on quite the performances with Miller’s Credence being an abused and awkward boy seeking love and Fogler’s Kowalski being the lovable muggle that doesn’t know what to do with the wizarding world. They are able bring life and humanity to two characters that could easily devolve into one dimensional caricatures. It’s all too common for big tentpole movies to have little resolution while setting up future movies in an endless series. However, Fantastic Beasts is a whole, fully formed film that stands on its own, but still finds a way to leave a few loose threads for future movies. Of all the landmines, this is the one to avoid and they did it well, setting it apart from a growing norm. While the plot stumbles in places and the villain is not fully formed, the stellar writing, solid direction, and compelling acting make it a magical adventure and a worthwhile trip to the theater.